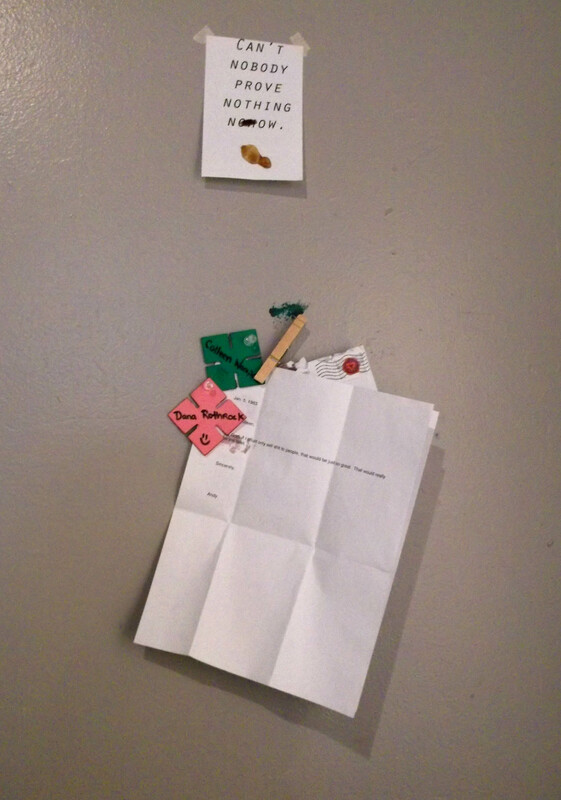 A significant part of my studio work this summer took the form of a light-hearted prank. I wanted a puckish rather than stinging tone, which took a lot of planning since I rarely allow myself the liberty of pranking. Doing so this summer was part of a desire to set up more interactive and collaborative art, as well as to incorporate humor more openly into my work. 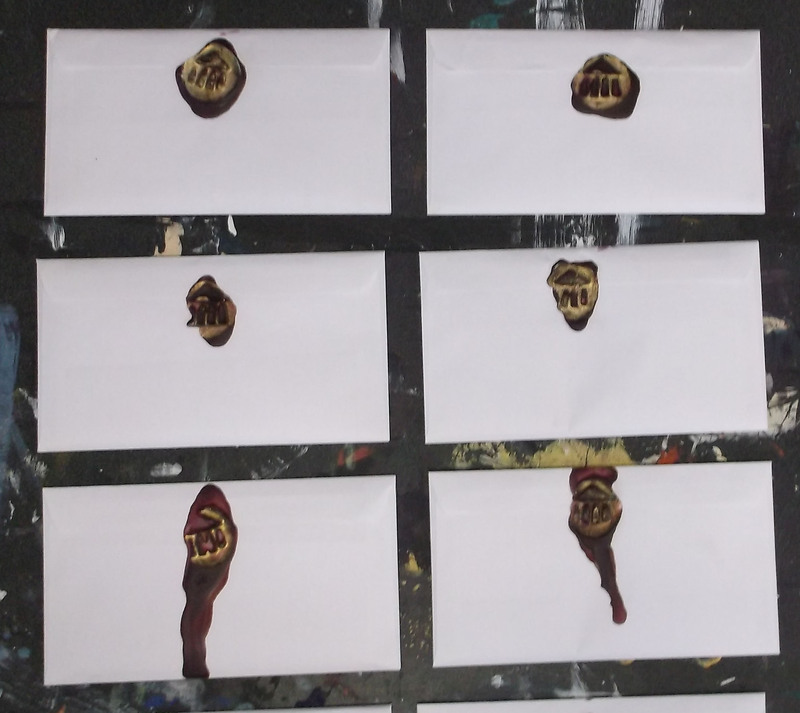 The collaboration was both with Brian Kubecki, without whose influence the entire project would have been much more boring, and the classmates who received and reacted to the letters. 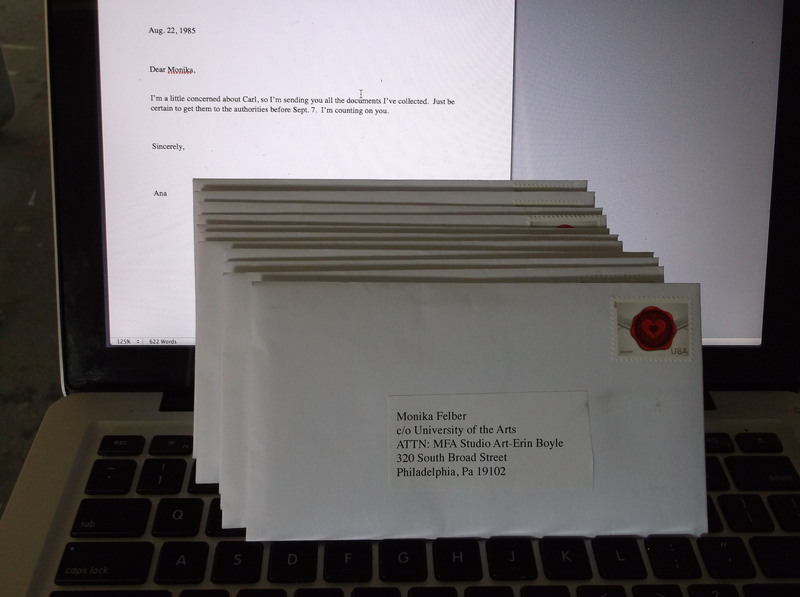 The form it took was a set of letters to the twelve members of my MFA class. One of our courses has us each reading a different artist biography, so the letters were each ostensibly penned by the artist about which the classmate was reading. All were rather ridiculous and anachronistic. 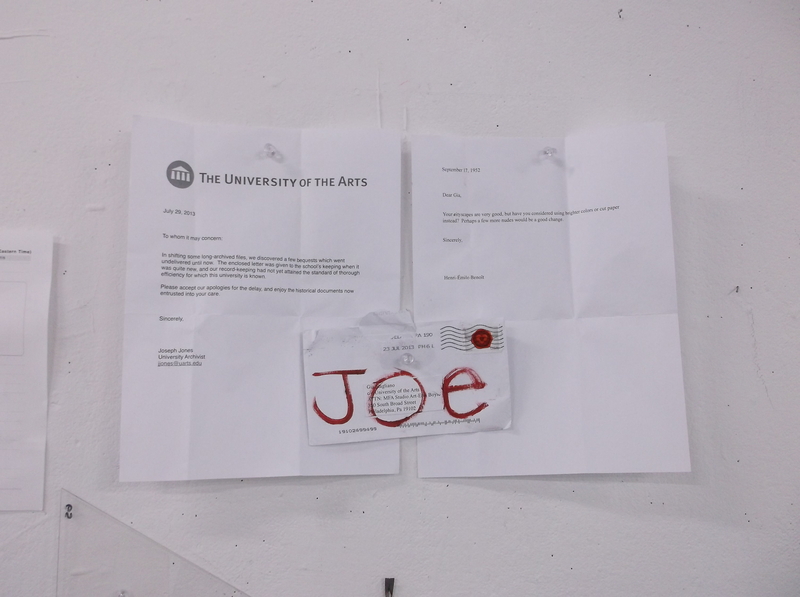 They were also sealed shut by a wax impression which approximated the university’s logo. The USPS helped by issuing forever stamps with a wax seal theme. The reactions of my classmates varied. I was known to be experimenting with encaustics, so I was a definite suspect. 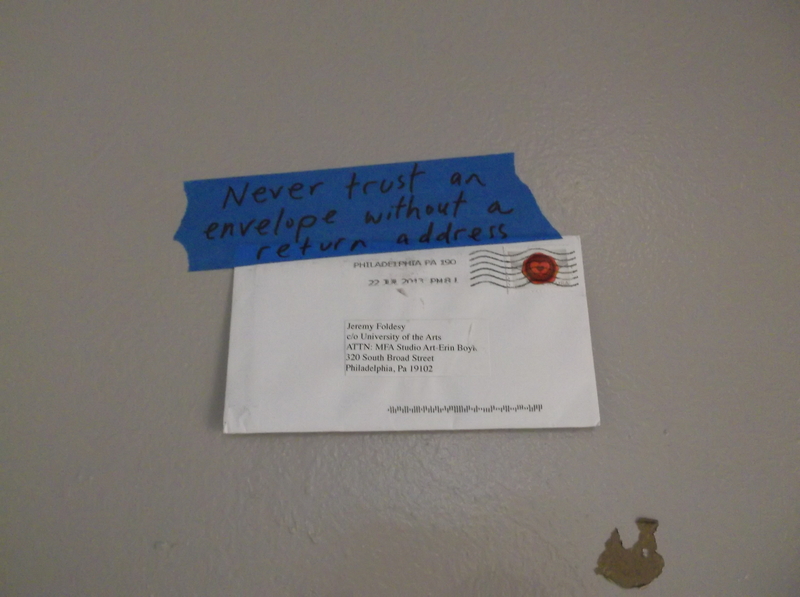 I’m not great at prevarication, but my best efforts allowed me to pass as an accomplice rather than the prankster. I sowed a bit of confusion by posting a second round of flyers with seals. My grammatical preferences are well enough known that this flyer seemed out of character. 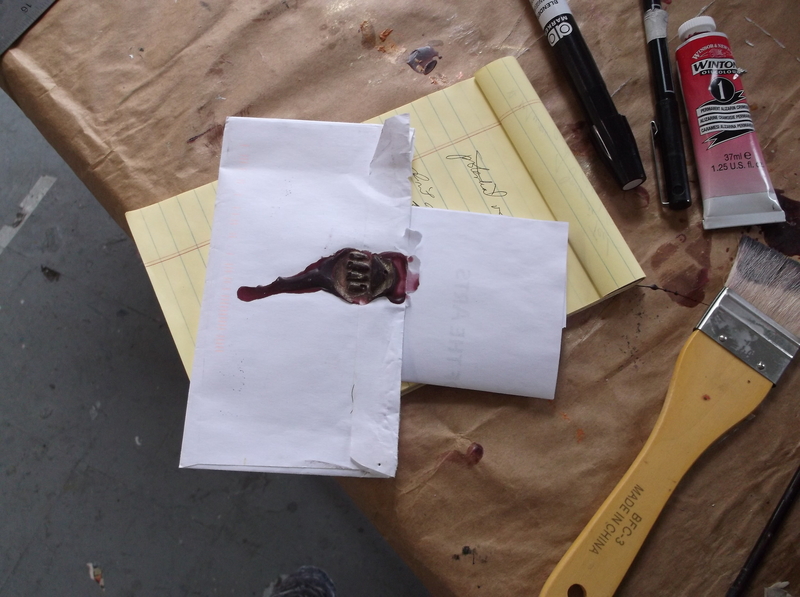 It is a personal favorite in this series of installations/mail art featuring wax seals. The thumbprint contradicts the message, just as the archaic and rarified format contradicts the double (triple? quadruple?) negative structure.